The pull in the opposite direction can be intense, as Puerto Rico reckons with an economic calamity more than a decade in the making. This island of United States citizens, whose finances are now being overseen by a federal control board, is shackled by around $70 billion in public debt, crushing job losses that are expected to deepen as more government workers are laid off, and an unrelenting exodus that includes many professionals, like doctors, engineers and teachers. Since 2004, more than 400,000 people have left Puerto Rico, a United States commonwealth of 3.4 million people. 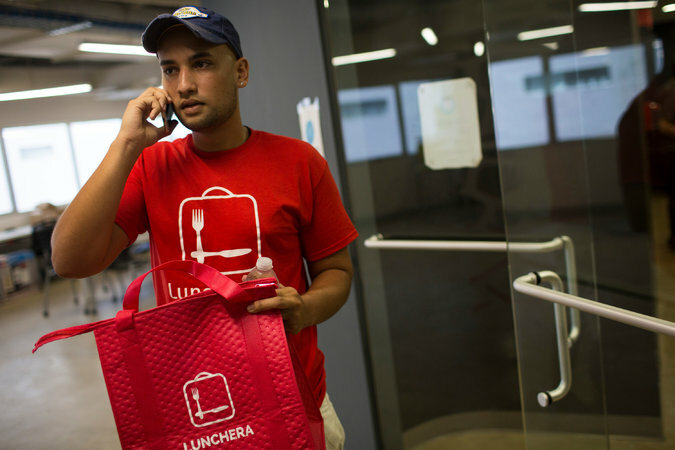 Ángel Romero making a delivery for Lunchera, a food delivery start-up founded by two local M.I.T. graduates. As the island enters its 11th year of recession, though, the crisis is slowly giving way to new opportunities that are elbowing aside more conventional ways of thinking. Puerto Ricans have long relied on the government for most of their jobs and on the mainland for many of their careers; university graduates have reflexively looked to United States corporations for work or slid into reliable professions, like medicine or engineering. On the island, they call it the “colonial” mind-set, a way of thinking that is tightly bound to Puerto Rico’s standing as a commonwealth. “We were taught to be employees here — not entrepreneurs,” said Carlos Cobián, an events specialist who is persuading Puerto Ricans on the mainland to come home, and promoting entrepreneurship on the island. But that is slowly changing. A younger generation, steeped in today’s entrepreneurship revolution, is starting to think differently. Puerto Rico’s governor, Ricardo Rosselló, announced in May that the government had certified 260 new companies that would be creating around 1,000 jobs in large part through a program of tax incentives aimed at helping entrepreneurs. They are mostly small operations, and more than 75 percent are run by people under 35, officials said. “For a long time, there was a mind-set that anything that comes from the outside was better,” said Daniella Rodríguez Besosa, 32, one of a new collection of young farmers who have re-embraced agriculture, a forgotten force on the island, and are helping to bolster agritourism and a farm-to-table movement. 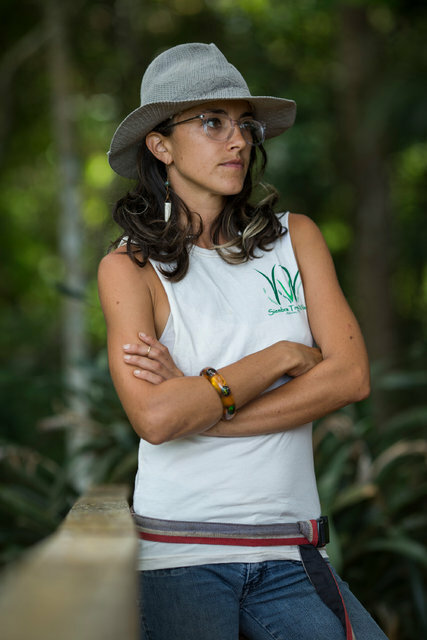 Daniella Rodríguez Besosa is part of a new movement of young farmers and food advocates. She runs the Siembra Tres Vidas farm in Aibonito. After moving back to Puerto Rico as a child, Ms. Rodríguez never left, choosing the University of Puerto Rico at Mayagüez for her biology degree. 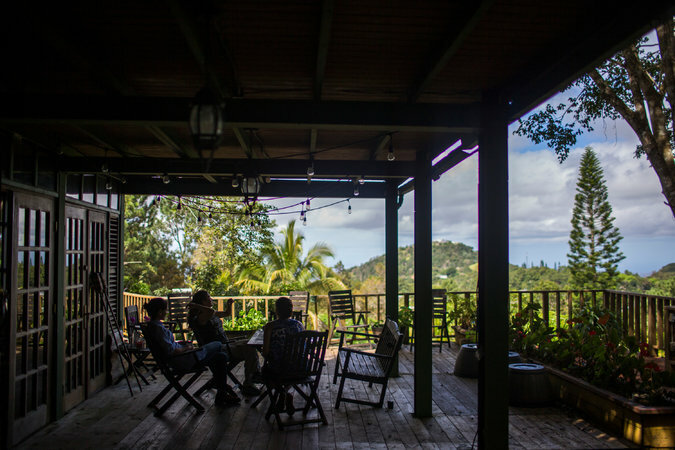 Just recently, farmers who run small and medium-size farms have started selling their produce to chefs in Puerto Rico’s fast-evolving culinary scene, and a group of millennial women is helping to facilitate that exchange. Buying local is novel here — 80 percent of Puerto Rico’s food is imported — and some farmers are now even selling to Walmart. Others have their eyes on increasing exports. Calle Loíza and the San Juan neighborhood of Santurce, near the beach, have become the millennial hub for this newfound energy. Once forlorn and dangerous, the area buzzes with just-opened restaurants led by inventive chefs who prize local ingredients. Lote 23, a former vacant lot, opened in December and is now filled with 16 trendy restaurant kiosks. Its co-founder Cristina Sumaza, 29, gave up jobs at NBC Universal and L’Oréal in New York to come home and jump into entrepreneurship. “This crisis has forced us to think outside the box,” she said. The food truck movement is also growing, although slowly. Yareli Manning, owner of the Meatball Company truck, left a job at a multinational company in Austin, Tex., to start a food truck park. 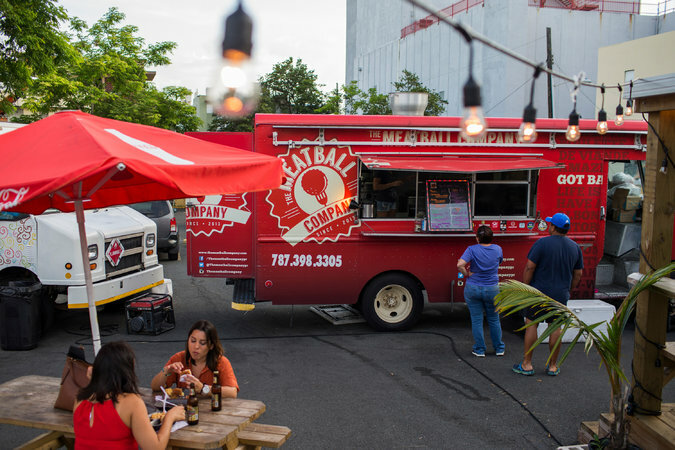 The Meatball Company food truck, owned by Yareli Manning, who left her job as a consultant in Austin, Tex., to start a food truck park in Miramar. It has been a struggle, she said. There are many obstacles to starting a business on a struggling island overseen by the federal government. Getting laws and ordinances changed — a laborious process before the crisis — takes even longer now, she said. It took two years to get two food trucks in one park. Money is tight, the market is small, and palates can be stubborn. San Juan has nearly 400,000 people, and many are wedded to traditional and fast food. Puerto Rican mixologists and their new bars — a swirl of laid-back hipster and Latin verve — have attracted a following well beyond the island. La Factoría, the first genuine craft cocktail bar, is tucked away in a warren-like building in Old San Juan. La Factoría has twice made the coveted list of the world’s 50 best bars by Drinks International. The owners recently lured Chuck Rivera, a star bartender in Washington, back to the island to be their partner on two new bars. Start-up culture, once the purview of isolated pockets in the United States, is budding here, too. Parallel18, a start-up accelerator created last year by Sebastián Vidal, is drawing a number of young entrepreneurs, including the two M.I.T. graduates. Applicants from around the world are drawn by grants, funded in part by the government, and the opportunity to test their products on a bilingual, bicultural market that operates under United States law. Competition for the 80 slots a year is tough. Young farmers and chefs gather regularly to brainstorm and collaborate, between the agricultural sector and the restaurant industry. Parallel18 wants its entrepreneurs to think globally. But it also encourages investment in Puerto Rico and requires entrepreneurs to share their knowledge with college students. In one year, the start-ups created $14 million in revenue, $8 million of it generated in Puerto Rico. Josie Arroyo, 35, gave up a job at Yahoo in Miami to start her company, Bien Cool, which designs clever greeting cards in Spanish. She started it in 2013 and is working with Parallel18 this year to expand it. Now she is selling her cards in 100 locations on the island and funnels orders to 25 states. Reaching out to successful Puerto Ricans scattered across the mainland is crucial, those trying to encourage entrepreneurship say. Isabel Rullán helped found ConPRmetidos, which is connecting Puerto Ricans abroad with people and jobs here as a way to promote innovation. The group is now working to bring doctors home by reaching into its network and sharing the latest financial incentives the government is offering to entice them back. Puerto Rico is suffering an acute shortage of specialists because so many have left for better paying jobs on the mainland.